All mums deserve a bit of pampering now and then. Here are some good beauty treatments available in our area. "I highly recommend Rebecca from�Beautivision�to all Local Mums. She really pampered me and made me feel beautiful, relaxed and happy. Rebecca really helped my confidence no end, helping me find my inner beauty and want to take pride in looking good for myself. I felt so incredibly at ease with Rebecca, it's like chatting with a girlfriend I have known for years. I look forward to these pampering sessions with Beautivision being a regular treat." 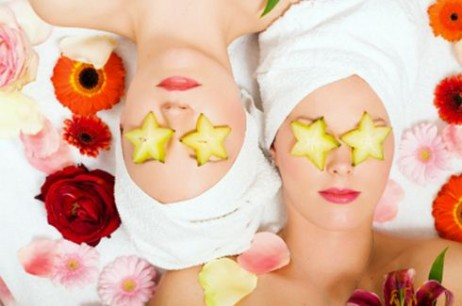 "My friend and I had SUCH a great time with Rebecca from�Beautivision. Not only did we end up with perfectly painted nails and tootsies but we had such a giggle and proper pamper in the process! I REALLY want to try Rebecca's massage skills next as her arm, hand, leg and foot massages (as part of the Express Mani / Pedi) were the BEST I've ever had, so relaxing!" Beautivision is run by Rebecca Amlani, a fully qualified Beauty and Massage Therapist and a member of the Guild of Professional Beauty Therapists. Rebecca started Beautivision in 2008 and she and her team offer Beauty and Massage treatments either from Rebecca's home-salon in Frimley, Surrey, or in the comfort of your own home. Beautivision�offers a range of beauty and spa treatments including massage, hair, make-up, nails, facials, threading and waxing. They also cater for bridal and special occasions as well as pamper party packages. They always ensure each treatment is tailor made for your individual requirements, whether it’s a 15 minute eyebrow shape or a 90 minute de-stress massage. The team are friendly, professional and responsive, and do their utmost to relax you and help you get the most out of your treatment. "The lovely Amanda Oliver has been beautifying the ladies of Epsom and the surrounding area for over 20 years. Operating from a tranquil treatment room attached to her own home, she offers a wide range of services from waxing, manicures and spa treatments to massages, facials and make up lessons. I was lucky enough to be treated to the most amazing facial which included a back massage AND luxurious foot massage whilst my face was being cleansed of its evil by a purifying face mask. I don’t think I could have felt more relaxed or pampered if I tried. Luckily I didn’t have far to drive home! Amanda is warm and friendly and passionate about providing the very best beauty services to her clients. She also has a young family and understands only too well the stresses, strains and ‘delights’ of modern motherhood. To accommodate her brood she works on Tuesdays and Thursdays during the day but is always happy to discuss alternatives. If you fancy a ‘me’ treat and some serious pampering then you can’t get much better than Amanda – you’ll know right from the start you’re in very experienced and capable hands. I’m already planning gift vouchers for my birthday! Highly recommended." Susannah Hebden, Epsom Mum of Henry, aged 7, and Jemima, aged 5. "Julie Skinner has been spray tanning�the ladies of Surrey in their own homes�for six years and with her cheery�relaxed�disposition you can see why she’s become�a fave with her clients. She put me at my�ease as soon as she arrived and�quickly forgot I was standing in a tent in front of her in nothing more than a pair of knicks. She is quick and thorough, issuing clear instructions as to how�to stand to ensure�even non-tango�coverage.�The spray isa wee bit chilly but she�dried me off and�I was able to dress in dark loose clothes shortly after. Immediately I could see I was in possession of a gorgeous bronzed�bod and�though it takes eight hours to fully develop�I�was delighted with the results straight away. With a little bit of care and a blob of moisturiser�my�golden glow should�last about a week and trust me I will be doing everything I can to eek it out. I love it. Julie�is an absolute gem of a find�and for a quick boost with immediate�results you can’t fault it. She charges a very reasonable �20 for a tan, but if you get four or more of you together then it’s �15 each. Great value for a great service and one I will definitely be trying�again!�The weather is dire,�mood is low and skin is pallid. So what better way to give yourself a much needed boost than to treat yourself to a bit of the fake stuff! (Contact Julie on 07811 350469)."